At Arkana spiritual centers, we show you a whole new world full of exciting creatures, beautiful natural landscapes & soul-opening ayahuasca and other plant medicines, safely. We know South America intimately and place immense focus on safety and security. Traveling in South America is different than traveling in the first world. Even though the rewards are infinitely larger than the risks, you must be aware of the potential inherent risks that do exist. 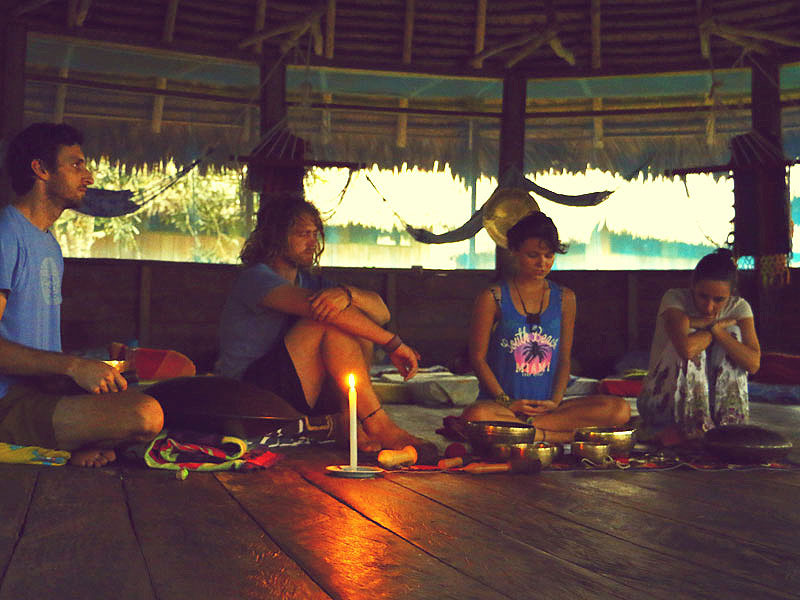 Heading to the birthplace of Ayahuasca in the heart of the Amazon Rainforest is no easy task. It’s a pilgrimage that’s just as much part of the healing as the plant medicines we work with. As part of the Ayahuasca Safety Association, we maintain the highest security standards, making sure your time with us is safe and worry-free, giving you the mental freedom and space to have a transformative experience in a secure, trusted, authentic environment. Ensure you avoid recreational drugs and antidepressants containing SSRIs for at least three weeks before you consume ayahuasca. Keep an LED flashlight in your pocket during the ceremony. Sometimes ayahuasca can impair motor skills and make it difficult to find your light. Keep your bucket close. Vomiting can come on unexpectedly. Stay close to the malloca (ceremonial building). This is where you are safe. Do not wonder into the surrounding brush, no matter how connected you feel to nature. Snakes, ants and other biting insects are present in the jungle. Have confidence in the process and be calm and present. Your best interests are our top priority. If things get heavy, understand that it’s only temporary and within a short time you will feel normal again. Tomorrow you will feel better than ever before. Finally, we HIGHLY recommend stopping consumption of cannabis for AT LEAST 2 weeks prior to your retreat with us. The longer the better! Weed can make it difficult for you to connect with the medicine right away, and we want to make sure you get the most out of your experience.